I made my daughter a happy camper Monday morning when I finished this for her. She picked out the colors, the patterns and kept watch to see how it was coming along. 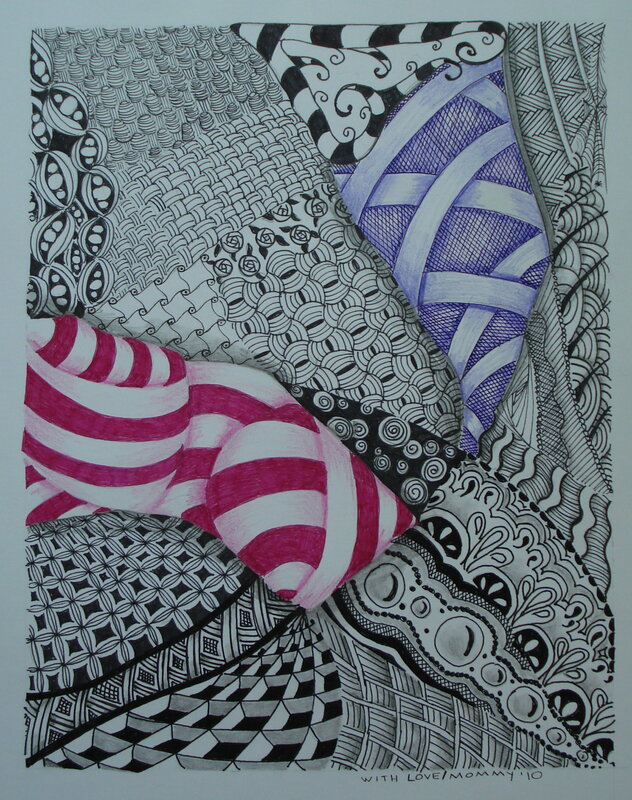 She was a little disappointed when she went to bed Sunday night and her Zentangle wasn’t done. So, I stayed up and finally completed it a little after midnight then I popped in a frame and put it on the counter. When she went to the kitchen that morning, she had her little surprise waiting for and I hope that it was a good start to her Monday. …..and then she cleaned her room without being asked.